Good morning. It's Monday, Feb. 25. • The soggy Bay Area braces for another atmospheric river. • San Diego's mayor brands himself a YIMBY in housing push. • And critics fume over the best picture award at the Oscars. 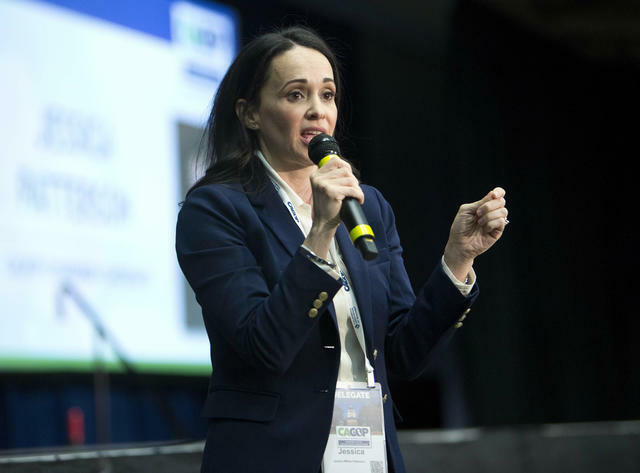 Jessica Patterson addressed Republican delegates in Sacramento on Saturday. California's Republicans chose a party insider as their chairwoman, rejecting two candidates who represented a stronger embrace of President Trump. Jessica Patterson will be the first woman to lead the 140-year-old organization. Of the state's Democratic lawmakers, she said: "The enemy is about 500 yards away over in that white building, where every single day, they are trying to take away our freedom and our liberty and they are trying to tax everything that is out there." Sen. Dianne Feinstein squared off with a group of students at her San Francisco office in a tense debate over environmental policy. Even as the students argued passionately for the Green New Deal, Feinstein said it had no hope. "That resolution will not pass the Senate, and you can take that back to whoever sent you here and tell them," she said. S.F. Chronicle | A.P. 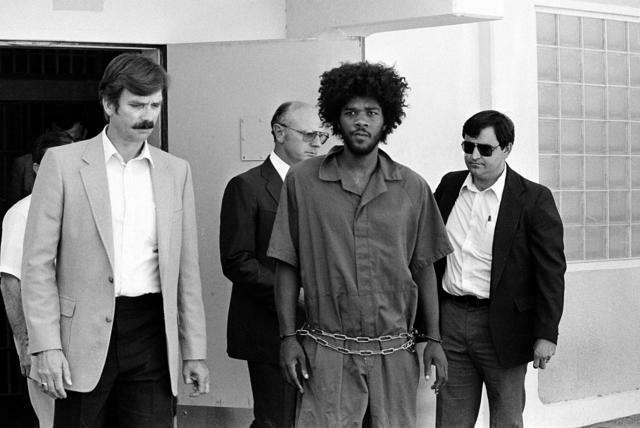 Gavin Newsom ordered new DNA testing in the case of death row inmate Kevin Cooper, who was accused of killing four people in San Bernardino County in 1983. For years, supporters of Cooper — including judges, senators, and N.Y. Times columnist Nicholas Kristof — have called for his case to be reviewed. "I need to be satisfied that all relevant evidence is carefully and fairly examined,” Newsom said. A court ruling last year made it harder to classify workers as independent contractors, which are common among truckers, music teachers, dog walkers, and other occupations. But while the decision was intended to protect workers, some are seeing their wages plummet. One barber said she now works more yet earns $300 less weekly. "For some people, there are advantages to being an employee," she said. "But not for me." Another storm was poised to pummel the already soaked Bay Area. Meteorologists said an atmospheric river would drop heavy snow in the mountains and several inches of rain at lower elevations between Monday and Wednesday, potentially triggering floods across Napa, Sonoma, and Marin counties. 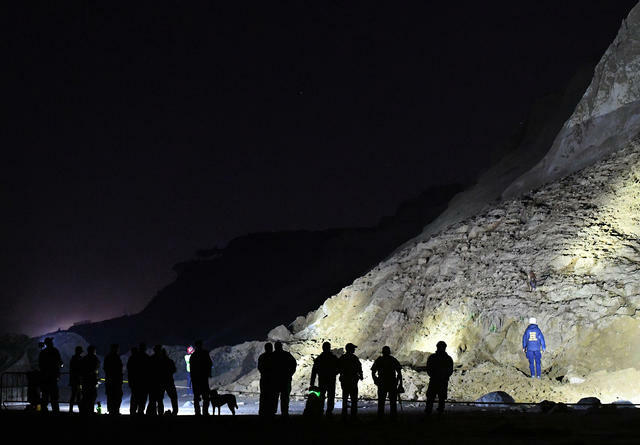 Search and rescue teams looked for a woman buried by a cliff collapse at Fort Funston beach on Friday. Two women in their 20s were walking along a beach in San Francisco when a cliffside collapsed, burying them and their dog. Bystanders freed one of the women and the dog. But the other woman was presumed to have died. Officials said ocean waves had weakened the bluff at Fort Funston, resulting in "a tragic natural event." A Bay Area news crew was gathering interviews at the Oakland teachers strike when two individuals approached and demanded their camera. The KPIX reporters complied, but the suspects exchanged gunfire with a security guard assigned to the crew. The guard was hit in the leg. The Oakland authorities said a 21-year-old man with several gunshot wounds later stumbled into a hospital and was arrested. A bison roams a hill at Golden Gate Park in San Francisco. 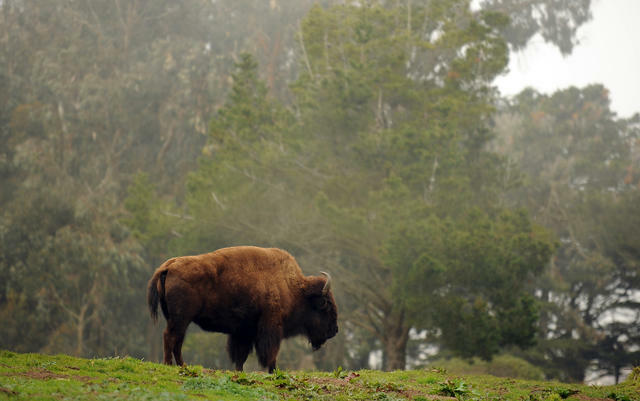 There are bison roaming in Golden Gate Park. During the 19th century, hunting and habitat destruction reduced the West's vast bison population to just a 1,000 or so. It was on this week in 1891 that the first bison was brought from the Great Plains to the newly created Golden Gate Park as a living memorial to the illustrious Wild West. A small herd has persisted there in the face of disease and development ever since. 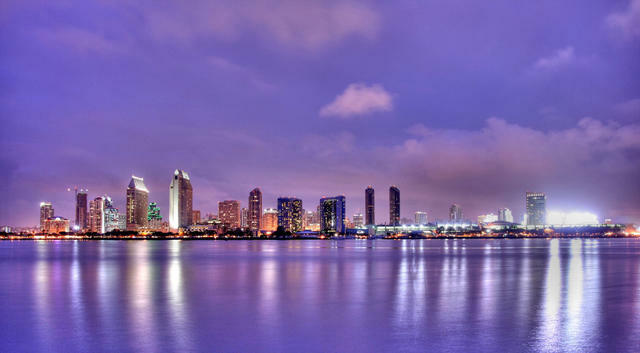 San Diego leaders are pushing a shift toward dense development. Branding himself a "YIMBY" — for "Yes in My Backyard" — San Diego's mayor is urging the city to embrace taller apartment buildings around transit stops in a shift from decades of suburban sprawl. But resistance is bubbling. The leader of a slow-growth group raised a large red balloon into the sky to show residents how their views would be obstructed. "It was like raising the American flag," he said. A federal judge in Texas sided with a San Diego men's rights group in a ruling that a men-only military draft is unconstitutional. The group, the National Coalition for Men, has made a name for itself using California's anti-discrimination law to sue businesses that favor women, such as women-only networking events or bars that offer drink discounts to women. 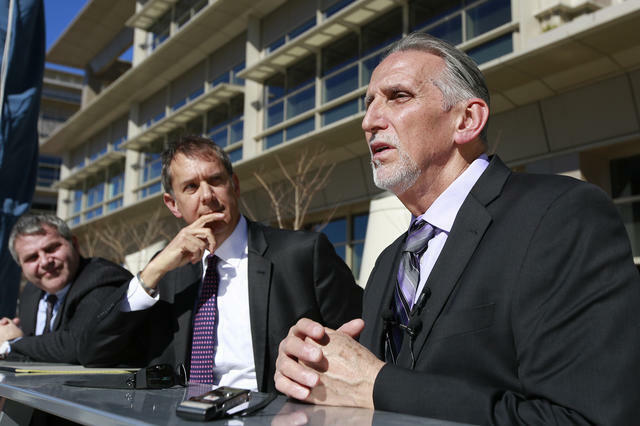 Craig Coley, right, accompanied by his lawyers, spoke to reporters in Sacramento on Feb. 15, 2018. Craig Coley spent 39 years in prison before being exonerated by DNA evidence in the 1978 murders of a woman and her 4-year-old son in Simi Valley. Now age 71, Coley has reached a $21 million settlement in the case. "While no amount of money can make up for what happened to Mr. Coley, settling this case is the right thing to do for Mr. Coley and our community," a Simi Valley official said. 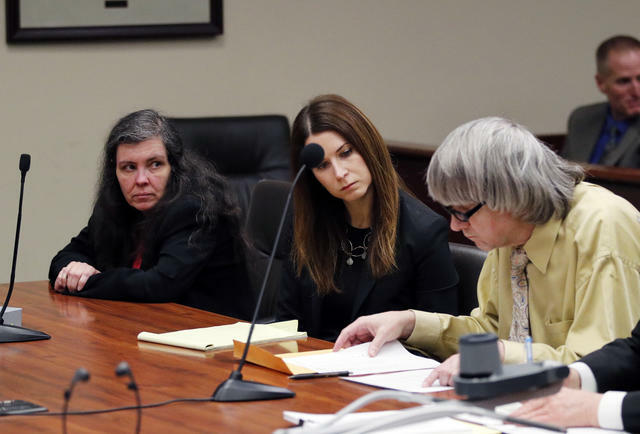 Louise Turpin, left, and her husband, David, right, with their lawyer Allison Lowe during a court hearing in Riverside last Friday. David and Louise Turpin, the couple accused of shackling and starving 12 of their children in their Riverside County home, pleaded guilty to 14 criminal charges that will likely keep them behind bars for the rest of their lives. "Some people said they should be put to death," a relative of the family said. "I felt that would end their suffering too soon." 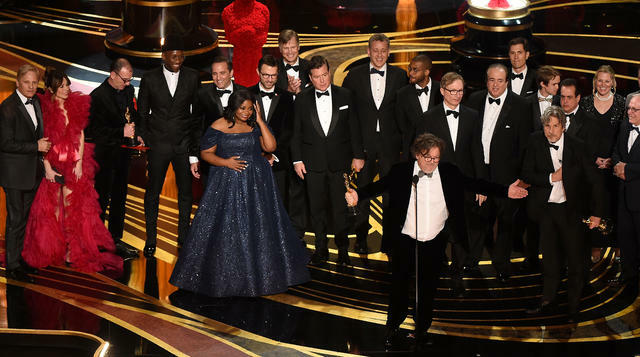 The “Green Book” crew accepted the best picture award at the Dolby Theatre in Hollywood on Sunday. "Green Book" claimed the best picture award on Hollywood's biggest night — and detractors of the film fumed. Spike Lee stormed out and said "no comment" when asked about the coronation of the movie, which has been accused of retrograde views of race. The L.A. Times's Justin Chang pulled no punches: "'Green Book' is an embarrassment," he wrote. "The film industry’s unquestioning embrace of it is another." 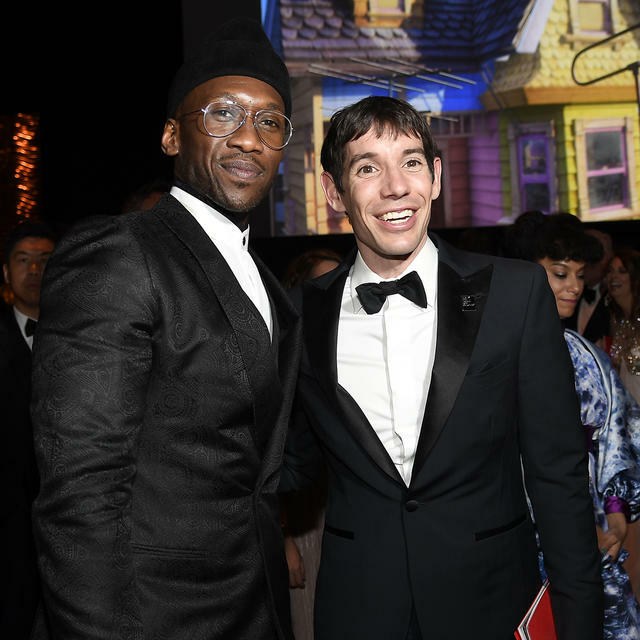 Mahershala Ali, left, and Alex Honnold attended the Governors Ball in Hollywood on Sunday. U.C. Berkeley is home to a dense stand of blue gum eucalyptus trees. 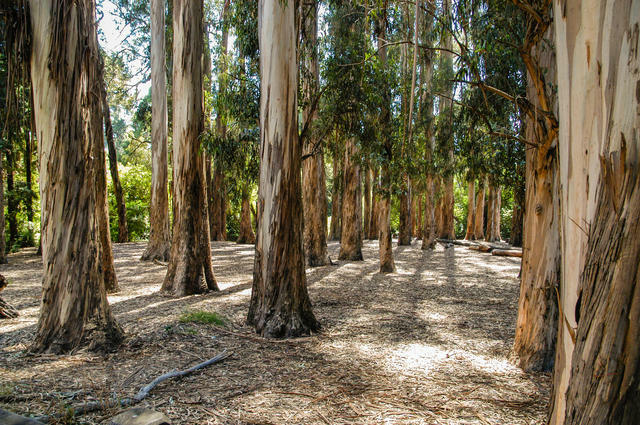 Prior to the 1850s, not a single eucalyptus tree grew in California. Then, Australians arriving during the Gold Rush carried with them the seeds of a eucalyptus known as the blue gum. They grew astonishingly well, soaring as high as 60 feet in only six years. As California's population exploded, so did demand for blue gums for energy, lumber, and ornamentation. Only after vast numbers of the trees had been planted did many people discover the wood's tendency to twist and crack. "If you go back to California farm journals of the 1870s, '80s, '90s, there's just report after report of disappointment, like 'these trees are no good,'" a historian told KQED. Even so, tens of thousands of blue gums endure across the state, with many residents divided for and against. Some blame the nonnative tree for worsening fire hazards. Others have a sentimental connection. To them, the scent of the eucalyptus is the very smell of California.